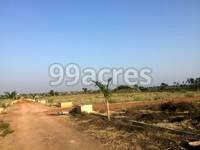 Geomac Park, a plot estate situated in Kusugal, Hubli is a residential development of Geomac Developers. It is spanned over a wide area and is approved by Karnataka RERA. The project is built with all essential amenities and is close to all the necessities. Geomac Park ? an address that is an oasis of calm, peace and magnificence in the hustle-bustle of the city, Hubli. Geomac Park Layout will make you forget that you are in the heart of the city. Geomac Park Layout brings a lifestyle that befits Royalty with the batch of magnificent Layout at Kusugal Road. the noise of the city center. The master plan of Geomac Park Layout offers people a strong connection to their surroundings, promoting a sense of community whilst balancing this with a distinct private address for individual homeowners. Where is Geomac Park located? Kusugal, a prime residential locality for house seekers in Hubli. Does Geomac Park have badminton court? The project doesn't have a badminton court. Does Geomac Park have gym? The project doesn't have a Gym. Is Geomac Park registered under RERA? The project is registered under RERA.